A unique system of lodges and outposts located off James Bay in Northern Ontario provides fly fishers with some very special fishing opportunities: access to incredible trout streams and rivers. The Albany Rivershed is teaming with wild brook trout with average sizes of 3 pounds and large fish going to 8 pounds or more. This is both dry fly and streamer heaven. With literally thousands of miles of pristine rivers and streams to explore near your camp, every day is a new exploration! Wilderness North has three locations across northern Ontario from which you can fly into their various locations (Armstrong, Nakina & Thunder Bay). 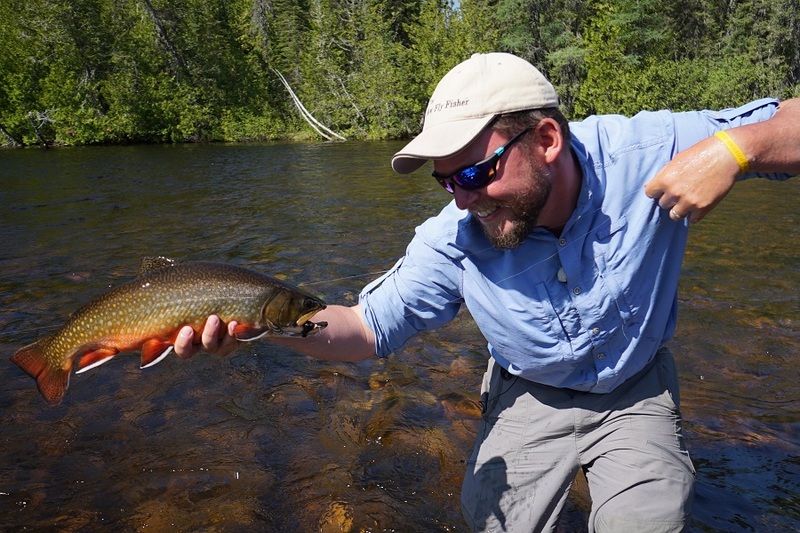 For the brook trout, 4 to 6 weight rods are best and you will only need to bring a floating line and possibly a sink tip for use with streamers.